Three of my great pleasures in life: Travel. Eating. Reading. These coalesced in the most fantastic of ways in Paris, on this last trip in March 2011. I’d finished the wonderful Australian classic novel, “Cloudstreet” by Tim Winton and was considering on starting one of the other books I’d brought on the trip (Alice Munro’s latest short story collection or Carol Shields’ “The Stone Diaries”, a Pulitzer winner, and one I haven’t read – and as a side note, I wonder if this is the last trip I’ll bring a book on… as I’m succumbing to the idea of travelling with an ipad as a book reader). But instead I picked up a book in the apartment I was renting. I love the little libraries that you encounter travelling, left at hotels and youth hostels, at some restaurants – a mix of high literature and fun literature, travel guides and books, in English and the language of the country in which you’re travelling and perhaps something in German or Spanish or Italian. I guess that’s a reason to still travel with books, to exchange them along the way. In this apartment: a French-English dictionary, a a stack of magazines including Grazia, OK!, Wallpaper, and the mysteriously named Scottish Field, a Spanish travel guide entitled París Insólita y Secreta, which I translate immediately as “insolent and secret” knowing that’s not quite right. The book on the top of the magazines, however, was “Paris to the Moon” by Adam Gopnik, a journalist who wrote for the New Yorker, and moved to Paris for the last 5 years of the 90s with his wife and infant son. It was a long-held dream to do so, and it is one of the questions that he tackles early on, how the dream matches with reality. Reading this book, in a variety of fine restaurants around Paris, while exploring Paris was an amusing and startling pleasure, passing by the carousel at the Jardins of Luxembourg, by chance, after he’d explained the history of it, reading about the restaurant Le Soufflé after I’d already eaten lunch there. I’d point to kismet, but that’s not the case. Paris is so easy to get around and explore, with so many unavoidable landmarks that the pathways of a tourist or an ex-pat cross easily. He writes about Boulevard St-Germain, how could anyone avoid knowing the street? It shouldn’t be a surprise to read such political, cultural and philosophical expertise woven into the writing, that’s one of my pleasures of reading articles in the New Yorker – but I have read many a travelogue, and this really is superior. I guess that’s it – it’s NOT a travelogue, there are insights gleaned from a journalist engaged in the life and society of where he is living, and sharing what he has learned. Through chapters on the World Cup, haut couture, french cooking, and hanging out with his kid, he aims to find the nature, the kernel of French life, helped out by amusing comparisons to his life in New York City. But I appreciated especially that it included serious episodes in French life, for example, the prosecution of the French politician Papon for war crimes. The book gave me an option from staring into space as I waited for the next course of food, and a pretense for ignoring the neighbours at the next tables, who in many of the restaurants I ate at were startlingly close – this is not a vast country like Canada or Australia – its citizens learn to co-exist side by side, acknowledge each other’s company without being involved in it. I did laugh out loud too many times, breaking some pact of quiet politeness, but I couldn’t help it: the taxi driver explaining royal laws of succession, a failure to avoid his son becoming addicted to Barney the dinosaur, and especially the tale of a group of loyal customers of the restaurant Balzar trying to save it from lower standards and tourist buses, comic, sad and human, but instructive as well, on French social class, profession, tradition, and economic rationalization. He combines the personal and political seamlessly, but moreso, was willing to open to a vulnerability of the human condition, describing his relationships with his wife and son, yet without sentimentality. I meant to leave the book for the next visitor at the apartment, and in fact, rushed to make sure I finished it by the time I left, the last chapters read at a pastry shop on Rue Rosier. But when I boarded the metro to Paris Nord, I noticed that it was still in my bag, I had failed to extract it and put ti back in its place. Unconsciously, it had stayed with me. 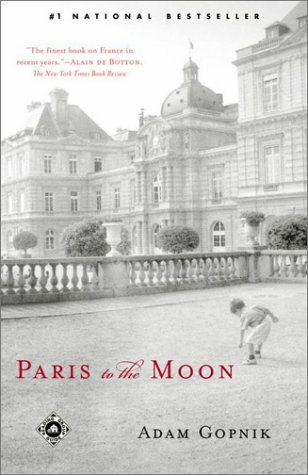 This entry was posted in Book Review, Paris, Travel. Bookmark the permalink.